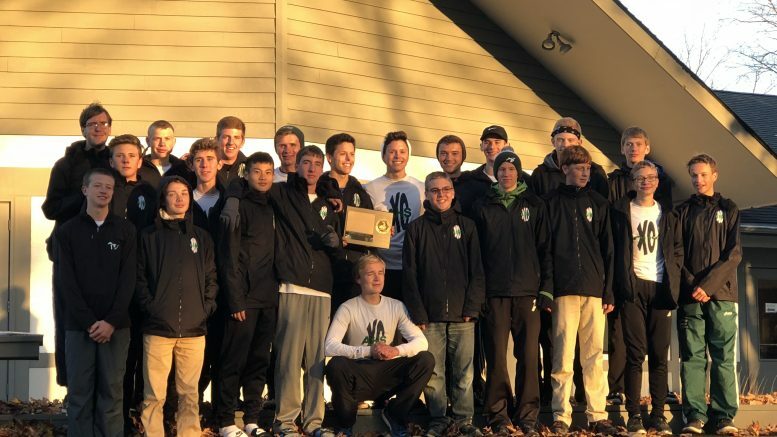 GAYLORD — The Alpena Wildcats traveled to Gaylord Tuesday, October 18 for the Big North Conference cross country finals, the meet that was worth the most points of three events. The boys team won the first race as a team and placed second at the next to Traverse City Central, so they needed to get the victory at the final. In Gaylord, Alpena took 1-2-3 with Aden Smith finishing in 16:18.40 followed by sophomore Drew Seabase and senior Josh Smith, who won the previous two meets. After the final conference meet overall the results were Aden, Josh and then Seabase who helped the boys team win their first conference title in school history. Twin runners Aden and Josh said it’s funny swhen one of them passes a runner and then the other, and the opponent looks confused that the same looking person passed them twice. Overall it is a fun time running together. For the girls, Maddy Boyd finished second and Madi Szymanski ended up eighth receiving All-Conference honors. The Wildcats hit the trail at the MHSAA LP Region 02-1 meet on October 27th at Delta College.